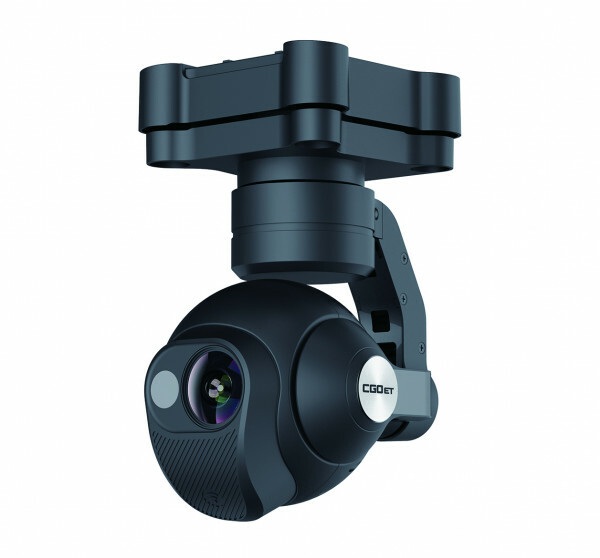 Product information "CGOET Thermal Imaging Camera"
The CGOET is an innovative combination of 3-axis gimbal, thermal imaging camera and low-light camera. While the thermal imaging camera selectively measures the temperature in the image enabling it to display relative temperature differences, the low-light RGB camera has a 20 times higher sensitivity than the human eye and can still take excellent shots even in low light conditions. Both images are streamed live on your remote control at the same time, and can be viewed separately as a picture-in-picture or as an overlay. The CGOET gimbal is capable of continuous 360° yaw axis rotation. This unique feature, when combined with the H520 retractable landing gear, provides the operator with continuous 360 unobstructed camera view and the ability to continuously pan the camera without yawing the airframe. Related Links "CGOET Thermal Imaging Camera"